Sandwich Label Nutrition Traffic Lights - Are they required? The quick answer to whether we need nutrition traffic lights on sandwich labels is “no”, well not yet anyway! Despite all the shenanigans of Brexit, the Local Government Association (LGA)* has come out to say that it believes traffic light nutrition labelling should be mandatory on convenience foods such as sandwiches, according to an article in The Times newspaper (opens in a new window). Nutrition traffic lights are the nutritional data conveyed on the front of a pack of food such as a sandwich label, indicating key nutritional elements. The traffic light system not only conveys the accurate data to the customer but also, if this falls within a high, medium or low categorisation. This is done with a very simple colour system of green, orange and red to indicate low, medium and high content of each nutritional element. 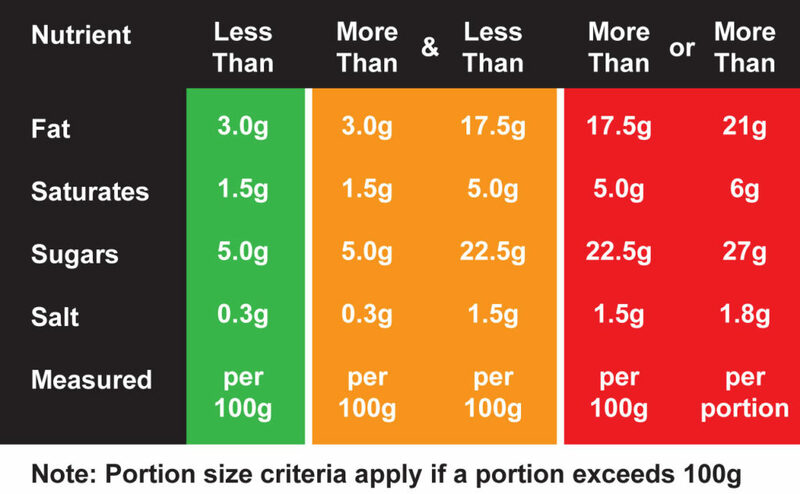 Currently, this information must be conveyed per 100g/100ml or per portion. There must be a statement beside the nutrition traffic lights explaining that too. If you declare these values using the traffic light system per portion on the front of the packaging, you must also make a full declaration on the back of the packaging per 100g/100ml. To make a declaration on the back of the packaging per 100g/100ml, you then enter a new domain of regulations. The back of pack declaration has a whole set of rules explained here. The energy value does not have a traffic light colour associated with it. Vendors often use a green colour for this value. The remaining nutrition elements can include red, amber or green depending on the amount of fat, sugar or salt in the food. Well, it isn’t the law yet, (April 2019) but it might be soon. There is no law to enforce using nutrition traffic lights indication on sandwich labels, nor must you even place nutrition data on your product if you are a small producer (subject to specific criteria). But what you should care about is that, irrespective of Brexit, the LGA is effectively campaigning for this to become mandatory. Mandatory regulations force costs on business and that can be bad for the business and force up prices for the consumer too. You can take another view too though. If you can provide this data easily and cheaply, it adds value to your product and instils confidence from your customers to buy from you. And that is no bad thing! Is there an easy and cheap solution? Yes, there is. Positive ID Labels have launched a nutrition calculation software, Nutridata, specifically designed to help small producers with these regulations. The software was originally designed as a stand-alone program to be installed on your own PC. However, this restricted the software to Windows-based PCs only. Positive ID Labels are re-launching the software as a web-based program. This means it will work on all devices whether they are Windows, Apple OS, Linux, Android or iOS. We hope to launch the web-based version before the end of May. How does the Nutrition Traffic Light software work? The software can calculate all the nutrition values for your food. How that is displayed on your labels is a separate matter. To calculate the nutrition values, the first step is to prepare a database of the ingredients in your products. From that data, you then prepare a recipe that makes up your product. For example, a cheese sandwich will have bread, butter (or margarine) and cheese in it. You just need to specify the weights of these products in your recipe. Once the weights are known, the calculations are simple because your database data is all based on 100g. So if you have 80 grams of bread, it is easy to calculate the nutrition data for the bread element of your recipe from that data. The software combines the entire recipe to come up with a value for the product and then reports the data both as the full product and as a ‘per 100g’ reference value. Once all of this data is gathered and the product recipes and products specified, the software can generate a Microsoft Excel table of information to include all the information you would need on your label. Once the database is available, we can use the specialist labelling software to link your data to a label template. This software is called Label Direct and we supply it with all our sandwich labelling systems (which can be used for labelling sandwiches, cakes, pies or any other food and can be used to label anything else. It does not have to be a food product at all! To find out more about how Positive ID Labels can help you achieve all your nutrition labelling needs, fill in the form below or call us on 01332 864895. We can walk you through the options and ensure your labelling solution is spot on. 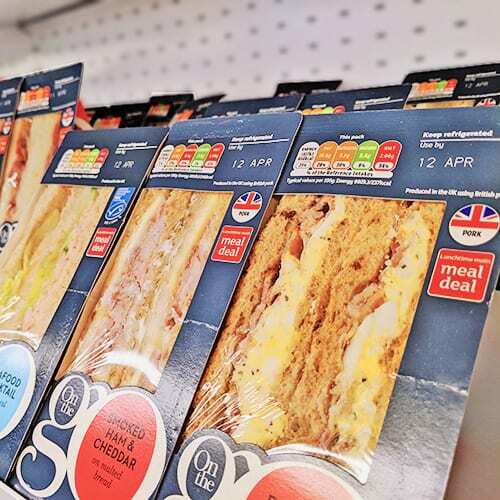 We use state of the art digital and flexographic printing equipment to manufacture your pre-printed sandwich labels to order. 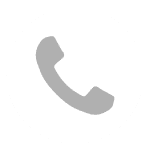 We are a single point of contact to solve all your labelling woes! *The LGA is an association representing (virtually) all Councils in England.